Not a bear in sight. Seriously, I saw more bears in Connecticut. On the news. In a garden two towns over. 20:02, Monday, 1st September, 2014. 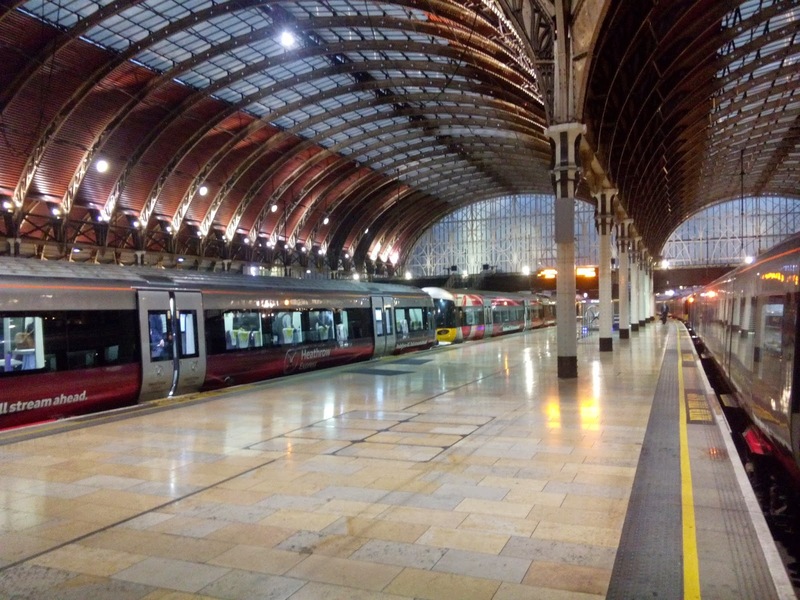 London Paddington Station. Unkie Dave's great emigration adventure is coming to an end. Three hours later I was back in Ireland after spending I-can't-believe-it-wasn't-a-year in LDN - the disbelief coming mainly from the fact that roughly every second Monday I caught the Green Eye (it's like the Red Eye, but for some inexplicable reason a lot of people seem to have a pint or two in the airport at 7:30am before going to Dublin - seriously, what is wrong with you people?) and came back for a fun-filled work week of internet-related hilarity (warning: internet may not contain actual hilarity). To say the year has been difficult is something of an understatement, as evidenced by the absence of posts on these pages and the dark and haunted look of quiet resignation on my face. I look in the mirror and see my older brother, if I had one, which I don't, so, um, poo, that must be me so. Yikes. The Very Understanding Girlfriend has headed off now on work-related travels to a destination so far away that it is Spring there now, and she won't be back until the Summer sun starts to fade. I'll join her there towards the end, but for now I have to get used to being back in our house that for nearly 12 months has been an Airbnb I didn't have to pay for (except I did, because the mortgage), only now it's full of so many boxes from our life in London stacked up around me that it feel more like I'm camping out in AirSelfStorage. So, I have de-emigrated. 89,000 people left Ireland the same year I did, so I suppose this should be chalked up in the win column. Only another 88,999 to go. Start counting those green shoots folks.